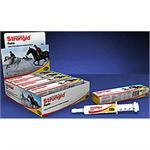 Oral paste for horses containing 43.9% w/w pyrantel embonate for the treatment and control of redworm, seatworm/pinworm, roundworm and tapeworm. 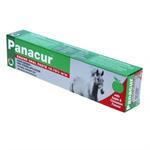 Contains ivermectin the same ingredient as eqvalan. and works for 8-10 weeks. 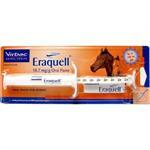 Oral liquid for horses containing 10% fenbendazole for the treatment and control of adult and immature roundworms. 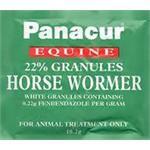 For the treatment of horses and other equines infected with benzimidazole susceptible immature and mature large redworms and migrating large redworms. 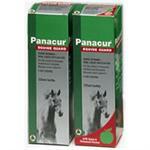 Panacur Equine Granules is a ready to administer oral wormer for horses and other equines. 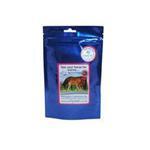 Each sachet contains 2.2 g Fenbendazole per 10.2 g granules. Includes everything you need to take the sample and a return post-paid envelope - it couldn't be easier to simply pop the samples in the post.